Many hair loss patients would like to take the first step to restoring their natural-looking, full head of hair with a follicular unit extraction (FUE), but are concerned about costs. When considering your options for treatment, there are many factors that can affect your decision, including pricing. To help you better understand the factors associated with FUE cost, make an appointment at our New York office locations today with our hair restoration experts, Drs. Robert True and Robert Dorin. What Factors are Involved in FUE Costs? Depending on the extent of your hair loss when you begin treatment and your desired results, our doctors will be able to give you an estimate on how many follicular units and surgical sessions will be necessary. The best way to get an accurate estimate of your FUT procedure is to come in for a personal consultation with Dr. Robert True or Dr. Robert Dorin. Our doctors have been performing the FUE technique since 2002 and have developed the experience and skills that set them apart from other practitioners. When you choose True & Dorin for your hair restoration treatment you can be assured that you will be receiving the best care at a competitive price. We offer financing options , and also a special incentive to patients with flexible schedules. At True & Dorin you can be assured that the results of your hair restoration treatment will keep you looking your best for years to come. Our doctors will design your hairline so that it will continue to impress even as you age. By alternating single strand follicular units at the beginning of the hairline in front of multiple strand units, a natural look is achieved that will remain attractive and appropriate even with continued hair loss. Increased number of donor sites – patients with insufficient hair in the donor area can graft hair from other parts of the body, including legs, back, and arms. 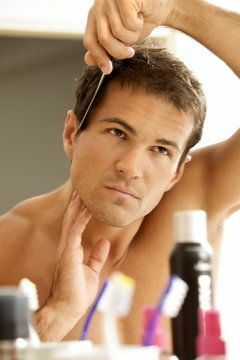 Find out for yourself how an FUE procedure can restore your hair and self-confidence. To learn more about FUE treatment, please schedule a consultation with our office today.